Katherine’s stage work includes a variety of writing and directing credits. Read about some of the highlights below, or check out her page on the New Play Exchange. THE SNAKE GOD OF FIJI (A HEDDA GABLER PREQUEL) is…well, it’s a prequel to HEDDA GABLER! It was developed through The Vagrancy’s 2017-2018 writers’ group. THE OCEAN DEEP asks whether it is more important to be a good person or a good friend? And also, there are sea creatures. 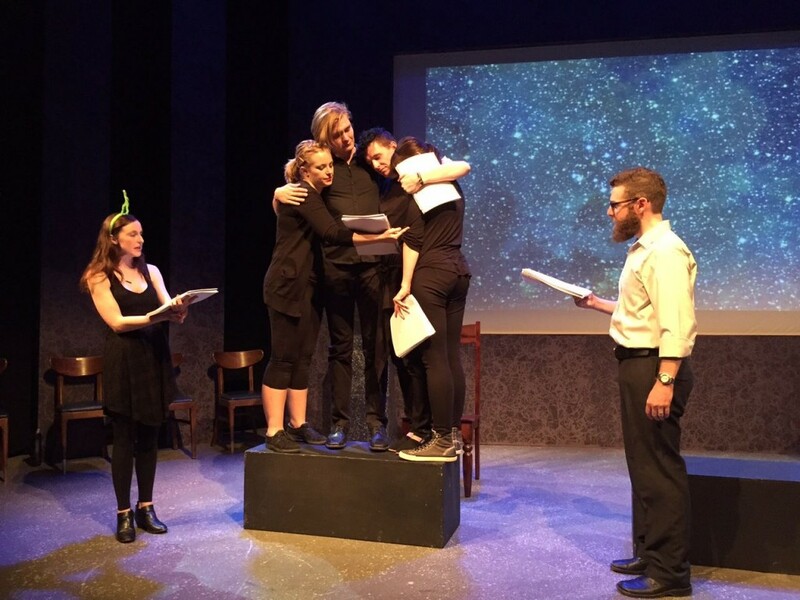 It was initially developed with The Vagrancy with their 2016-2017 writers’ group, and then selected for their intensive workshop process, Playdate, in 2018. It was also a semi-finalist for the 2018 O’Neill National Playwrights Conference. THE FERMI PARADOX is a full-length play about love, betrayal and a dance competition in outer space. 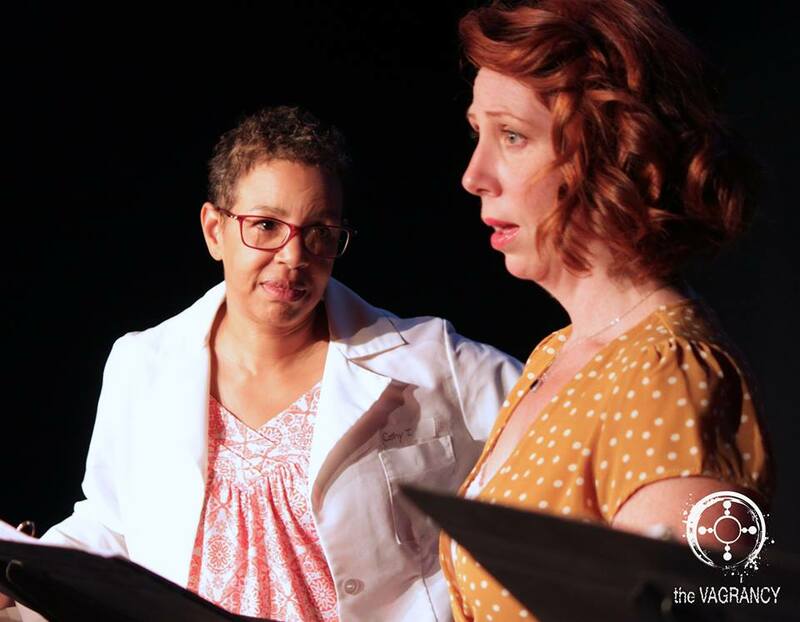 It was originally developed through the Seedlings program at Will Geer’s Theatricum Botanicum, and subsequently won the 2015 Davey Foundation‘s Theatre Grant. 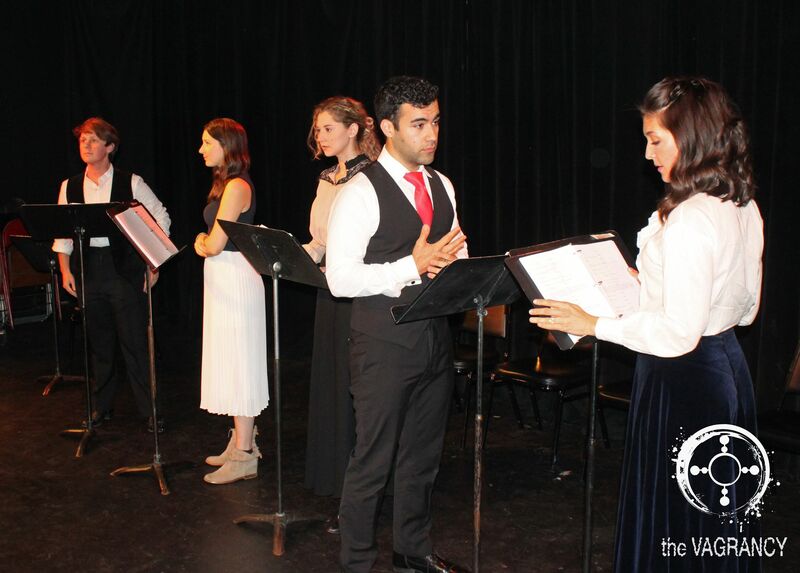 The grant provided for a week-long workshop and staged reading with the Salt Lake Acting Company. It will be at the Campfire Theatre Festival in September, 2018. 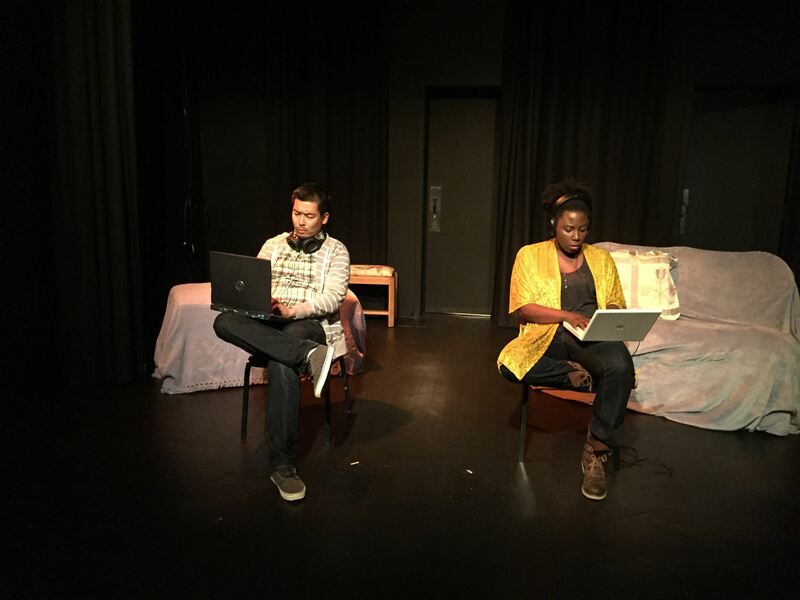 THE DRUMS is a five-minute play about two computer programmers struggling to draw the line between good and evil. 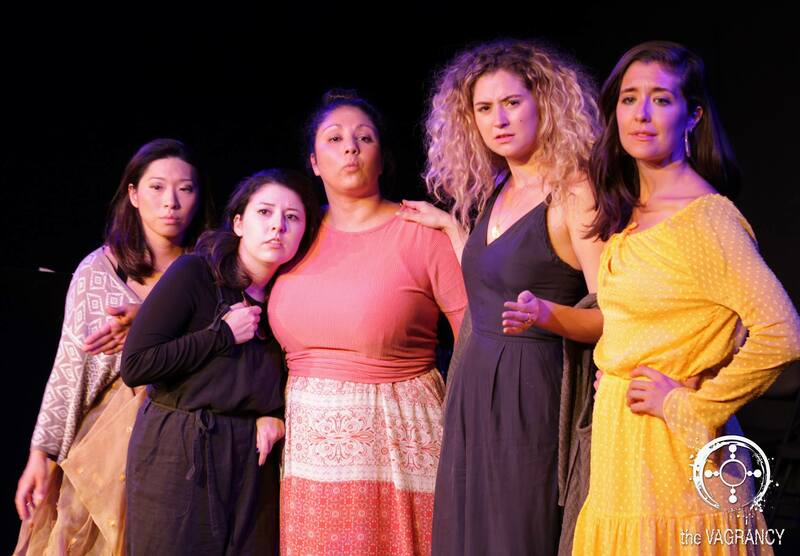 It was performed in San Francisco and Berkeley in July, 2016 as the precursor to All Terrain Theater‘s production of SUDDENLY SPLIT AND SWIPING OVER. 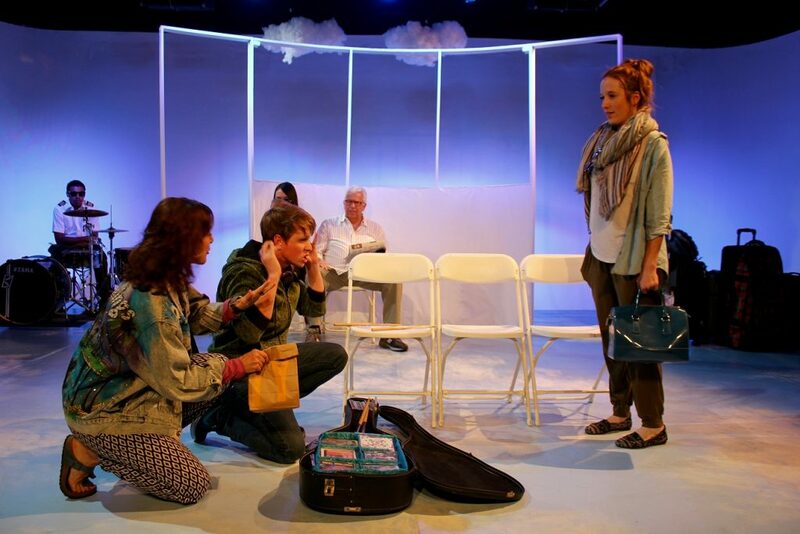 FRIENDS IN TRANSIENT PLACES, by Jonathan Caren, is a whimsical full-length play exploring the connections that are formed between a group of strangers on the same flight from New York to LA. Katherine directed the World Premiere for Fresh Produce’d LA in Fall of 2016. 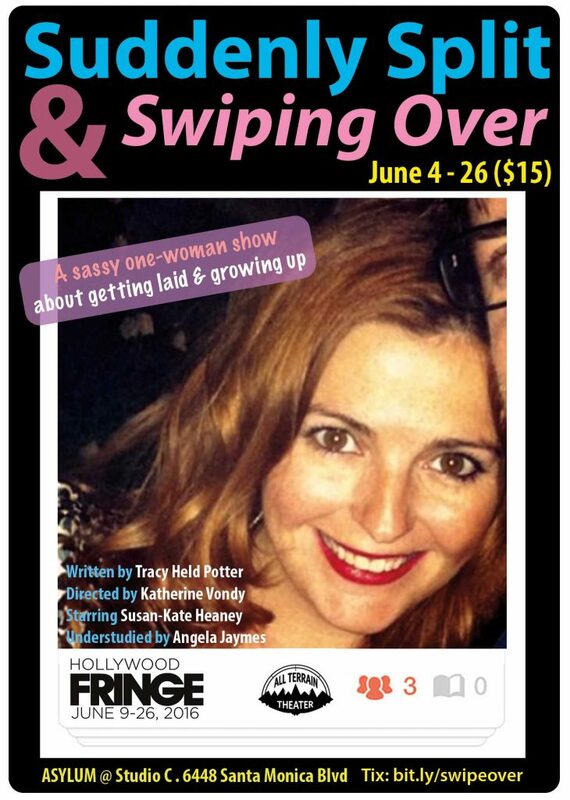 SUDDENLY SPLIT & SWIPING OVER is a one-woman show about dating in the digital era. Written by Tracy Held Potter, it premiered at the Hollywood Fringe Festival in Los Angeles in June, 2016 with Susan-Kate Heaney starring, and continued its run in Northern California later that summer with Angela Jaymes. MIX TAPE is Lost Moon Radio‘s hilariously nostalgic ’90s-themed live show. 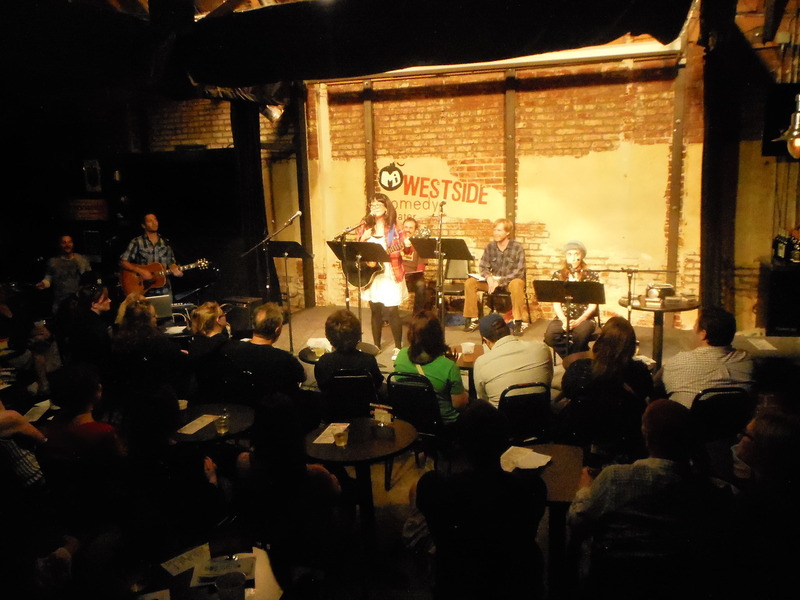 It played at Westside Comedy in Los Angeles in August, 2014.